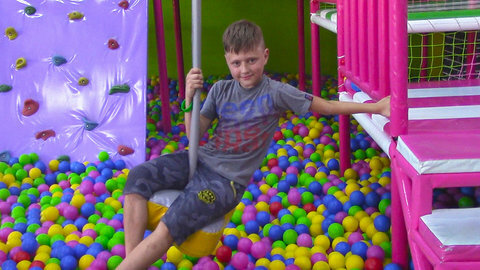 The boys and Arina have loads of family fun while playing in the indoor play center in this episode of the kids’ videos. First, they jump and bounce in the trampolines. Then they go over the slide where Arina picked the spiral slide. They also enjoyed riding the swing while the songs called Little Bunnies and If You’re Happy And You Know It are playing throughout the video. Make sure you go to SeeZisKids.com to catch all of their amazing videos.